24 April 2019: we have 19 in stock. Toyota Vitz is one of the most popular hatchback cars produced by Toyota. It is sold in many countries around the world and it is especially popular in Europe, where is commercialized with the name of Toyota Yaris. Toyota Vitz is the successor of another Toyota`s popular Hatchback, the Toyota Starlet. Until now, three generations of Vitz have been sold in Japan. 1st Generation (XP10) from 1998 to 2005. Engines: 2NZ-FE 1.0 L; 1SZ-FE 1.3 L and 1NZ-FE 1.5 L. Gearbox: AT or MT. Gearbox: Normal AT, AT CVT (Continuously variable transmission) or MT 5 gears. 2nd Generation (XP90) from 2005 to 2013. Same engines and transmission types of the first generation. 3rd Generation (XP130) from 2010. Engines: 1KR-FE 1.0 L; 1NR-FE 1.3 L and 1NZ-FE 1.5 L. Gearbox: AT CVT (Continuously variable transmission) or MT 5 gears. Toyota Vitz is available in a variety of versions with 3 or 5 doors, AT or MT transmission and many different colors. The interior space if relatively wide and comfortable and the drive is sufficiently stable. Fuel consumption is very good, with an estimated average of 6.6 liters per 100 km even for the lowest performing engine. The availability of used Toyota Vitz in Japan is very good. Even if the request for this vehicle is very high, the prices for old models are relatively low. 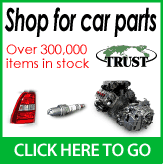 Spare parts for Toyota Vitz are normally available in most countries.